Lyngo Theatre will be presenting Puss In Boots on Thursday, April 9, from 2pm, at Derby’s Guildhall Theatre. Adapted and performed by Patrick Lynch, this performance will be the cat’s whiskers. Would you trust a talking cat? You never know, he might turn you from a pauper to a prince, just like the hero of this story. 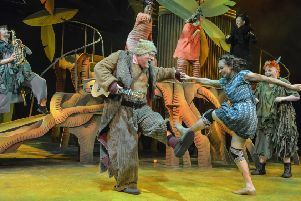 Brought to vivid life by Patrick Lynch (CBeebies), with smoke and mirrors and hidden trapdoors he’ll show you how this sure-footed feline fools both the King and the Ogre to put his master at the top. Tickets are £8 and can be purchased through the box office on 01332 255800.